Ever notice those big giant freaky looking banana-like creatures in the produce section? Plantains always seemed a little mysterious. Do you eat them while green? Are they supposed to be so black like that, if they aren't green? As it turns out, plantains are quite versatile and can wear many hats in the kitchen. You can steam plantains, fry them into chips, or mash them up for baby food, just like other bananas. What makes them different is that the green ones are much starchier, and much less sweet. The green plantains often resemble the flavor of potatoes when cooked at this stage. Once ripened, plantains can become VERY dark, much darker in fact that smaller bananas we peel and eat. Once blackened, they become much sweeter, though not as sweet as their little counterparts. 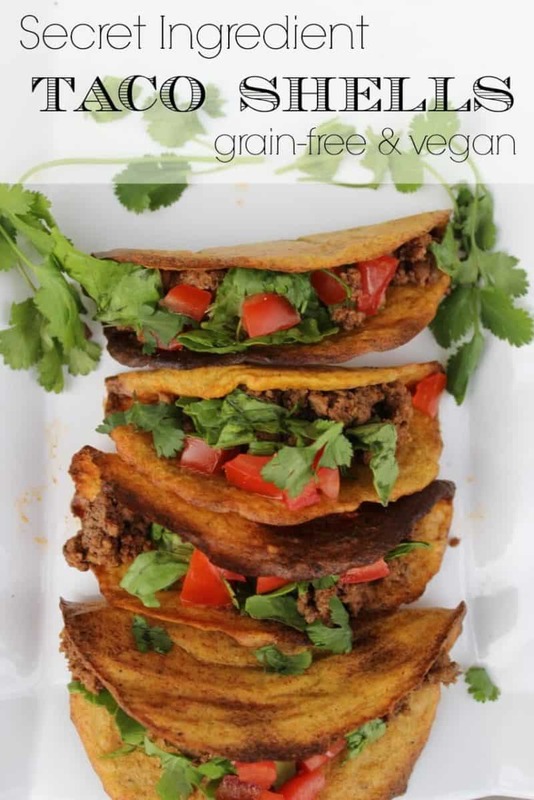 When giving up grain, certain foods become MUCH trickier in trying to create, like TACOS! To our benefit, plantains have a perfect starchy disposition while naturally being void of inflammatory grains like corn. 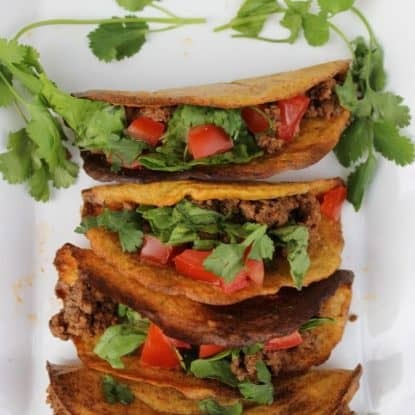 This plantain taco shell takes a little extra work, but makes an incredible substitute for those avoiding grains and dairy. This post may contain affiliate links from which I will earn a commission.- thanks! 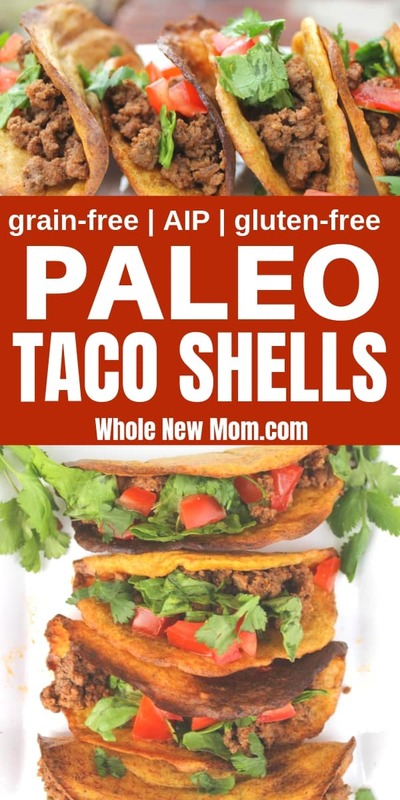 These paleo taco shells are just fabulous and work with so many special diets. They are dairy free, corn free, egg free, and even AIP. Of course, you are going to need Taco Seasoning for your Taco Shells, right? So here is our favorite Homemade Taco Seasoning Recipe and here is my AIP Taco Seasoning. They are both sure to please. You can use green plantains for a lower-carb option. See instructions for blending information. 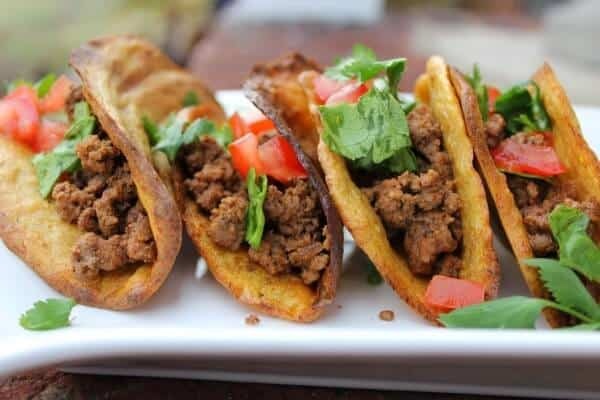 Unbelievable Corn-Free Paleo Taco Shells. 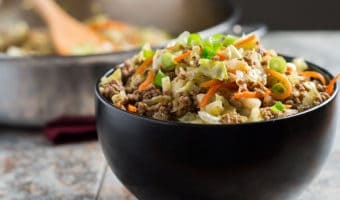 Grain-free & vegan. You won't believe what they're made of! Bake like this for another 20-30 minutes or until golden brown and crispy. The center might be slightly more chewy depending on thickness and cooking time. Remove from oven and prop them open while they cool slightly. If they cool closed, they are harder to fill with taco fixins. 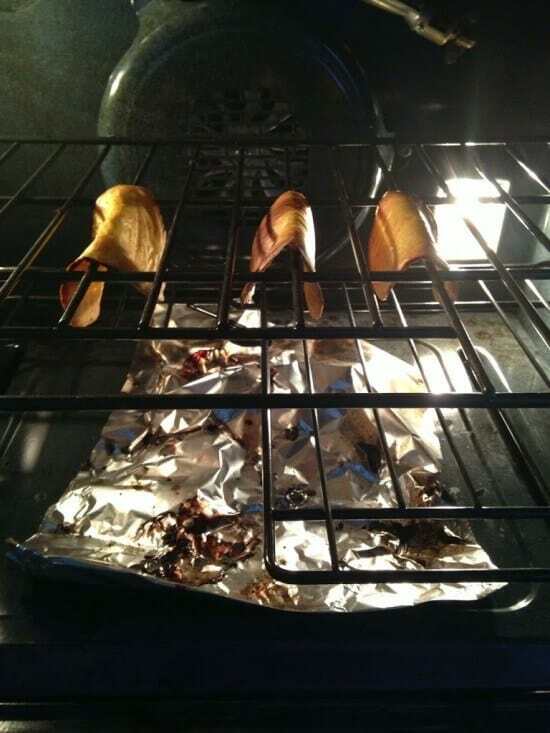 Alternatively, you can also use this taco oven rack! 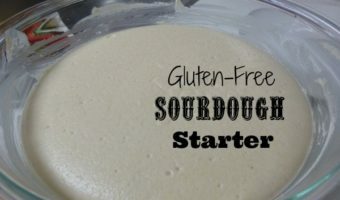 For more grain-free recipes like this, see my Grain-Free Tortillas and Plaintain Cake Tostadas. Have you worked with plantains before? 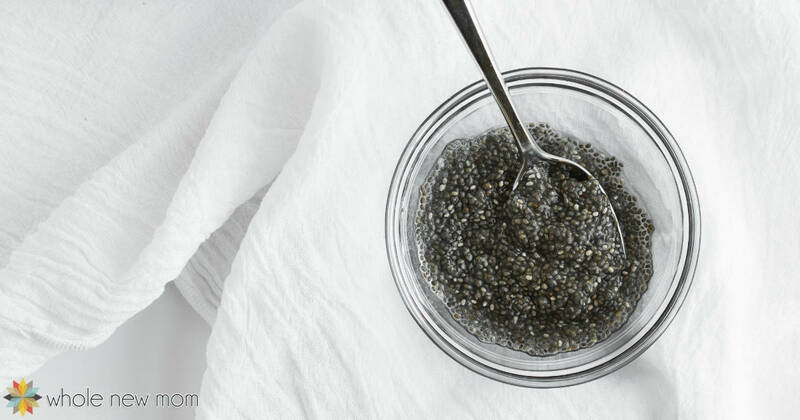 Jennifer of Predominantly Paleo is a wife and mother of 3 in pursuit of better health for her family. After being gluten free for 4 years, and having many health issues, there was still too much processed “food” in her pantry. Jennifer began feeding her family more meals from WHOLE foods and fewer from boxes. 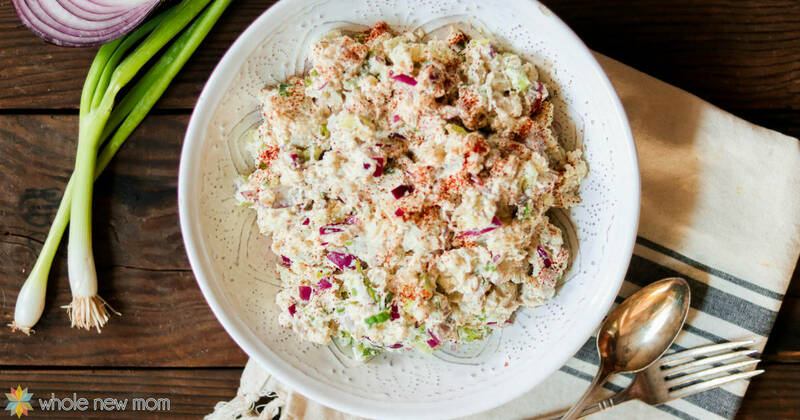 Her recipes are predominantly paleo, meaning they are free of grain, gluten, dairy, and refined sugar. But she does make allowances for a few treats and sweets. She believes food can be medicine when used appropriately and that a few changes now can mean huge benefits later. Healthy food doesn't need to be flavorless and void of personality. Connect with her on Facebook, Pinterest, Instagram, and Twitter. I’ve made these three times. The 1st and 2nd time they were great! Crispy and delicious- really worth the work! The 3rd time they all fell through the oven rack – they were not the same consistency. I think you have to have just the right size and ripeness of plantains to get these to work. You can also cut back on the oil which lkely was too much if you used really ripe plantains which are much softer. Sorry you had a negative experience, they actually can turn out quite crsipy after initally baked into tortillas and then baked again. Perhaps they needed to be a little thinner as well.